JetBlue Airways and Japan Airlines have expanded their interline partnership to include codesharing. JAL’s code will be featured on JetBlue operated flights now even though the agreement doesn't go into effect until April 22. 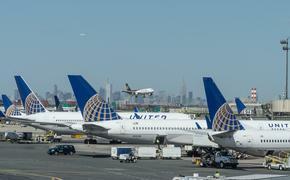 The two carriers have interline partnerships between their networks in Tokyo and New York's John F. Kennedy International Airport as well as Boston's Logan International Airport. April 22 also marks the day JAL will start its new service from Boston to Tokyo using the Boeing 787 Dreamliner. That flight is the only nonstop flight from New England to Asia. Japan Airlines offers daily nonstop service to Narita from JFK, and customers may also continue to book tickets for combined interline travel on JetBlue and Japan Airlines through Los Angeles International Airport (LAX), where travelers may connect onward to most major cities in Asia including Bangkok, Beijing, Hong Kong, Kuala Lumpur, Singapore, Seoul, Shanghai and Taipei. Via Boston, customers can connect to Tokyo from 13 U.S. destinations including Buffalo, N.Y.; Baltimore, Md. ; Fort Lauderdale, Fort Myers, Jacksonville, Orlando, Tampa and West Palm Beach, Fla.; Pittsburgh; Raleigh/Durham, N.C.; Richmond, Va.; and Washington, D.C. (National and Dulles). At New York, JetBlue offers connections between JAL-operated flights and cities including Buffalo, N.Y.; Burlington, Vt.; Charlotte, N.C.; Fort Lauderdale, Fort Myers, Jacksonville, Orlando, Sarasota, Tampa and West Palm Beach, Fla.; Houston, Texas; New Orleans, La. ; Portland, Maine; Rochester and Syracuse, N.Y.; and Washington, D.C. (Dulles).